Rahul quickly shoved all his dirty clothes into the washing machine, put in some of that new vibrating molecules soap powder, closed the lid and went out for dinner. After a momentous evening with his girlfriend, he came home in a rather good mood. But the mood was spoilt when he opened the washing machine. The clothes were in exactly the same state he had left them. The soap powder lay on top of the clothes, insipid and lifeless. It seemed like this whole vibrating molecules thingy was just a con job. He pulled out his lamp and rubbed it angrily. Copious amounts of smoke began to emerge out of the lamp. Soon the smoke coalesced into the figure of a heavy set man in ancient Chinese costumes. “At your service, master,” he said bowing politely to Rahul. As many of you might have guessed it was a Genie. Now Genies come in various types. The one many of us might have read of was indeed a very powerful one. But not all Genies are that powerful. Most Genies have their limitations and have specific areas of expertise within which they can grant wishes. The Genie in question here was a Chinese variety known as Dong Ki. Its specialty was domestic chores and transport. Which in effect meant it was a house maid, gardener, cook and chauffeur all rolled into one. But no way would this Genie be able to raise a magnificent palace, bring its master all the riches of the world or defeat his enemies. For that one would require the services of the architect Genie, the thief genie and the warrior genie respectively. The warrior genie was incidentally called the Dong Xi. 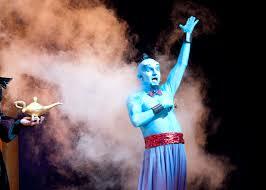 Chinese names for genie are also apparently as confusing as the human names. But here there is no scope for confusion as there is only one Dong Ki in this story. “Look here!. The clothes are still as I had left them. The powder you gave me was totally useless,” Rahul shouted at the Genie. “You seem to have missed the whole point. In order to appreciate the concept of vibrating molecule, you need to know the whole history of washing. It goes way back to the time of your ancestor, the minister at the court of king Raja Raja Chola.” As much as Genie hated work he loved to tell stories. Rahul was also very fond of listening to stories. So the idea of story calmed him down and he settled down on his chair to listen. Thanks Suresh. As you know I am picking up my posts from my blog that fall under fantasy, organizing them in a theme, getting a couple of guests post and writing a couple of new ones myself to make these series. What a splendid story, you have woven so many stories to make this so funny, good and a bit wicked! Thanks a lot, Inderpreet. Glad you liked the humor. A very interesting tale told with wit and humour! Kudos! Thanks a lot, Deepti and welcome to my blog.